2. Paul Goble: Russia Makes Progress When It Looks Outward and Suffers When It Turns in on Itself, Inozemtsev Says. 3. TASS: Putin calls for maintaining freedom of Internet. 4. Interfax: International, state regulation of Internet inevitable – Kiriyenko. 5. Bear Market Blog: Volodin proposes pro-Duma constitutional amendment. 7. Interfax: No need for constitutional adjustments, fundamental changes – Medvedev. 8. RFE/RL: Russian Director Serebrennikov Freed From House Arrest. 10. TASS: Key facts about criminal case against Kirill Serebrennikov. 11. Mark H. Teeter: AND NOW THE NEWS, WITH SOMEBODY YOU WEREN’T EXPECTING. 12. Checkpoint Asia: Richard Connolly, Russia’s Effective Military Spending Is Around $200 Billion. When you take into account everything costs less in Russia the nominal $65 billion budget buys three times the military power it would in the US. 13. Financial Times: Sanctions-hit Russian market starts to stir after deep freeze. Release of Mueller report reawakens interest among international investors. 14. www.rt.com: Shipping capacity of Russian Arctic sea route to top 80 million tons in five years. 15. Oilprice.com: Russia Seeks New Arctic Oil Frontier. 16. Moscow Times: Bruno Macaes, Russia’s New Gold Rush Could Shake Up the International Monetary System. Russia and China might be considering a gold-backed digital currency. 17. Bloomberg: New Russia Penalties Face ‘Sanctions Fatigue’ in U.S. Congress. 18. Bloomberg: All About the U.S. Sanctions Aimed at Putin’s Russia. 19. Bear Market Blog: Import Substitution Campaign. 20. Asia Times: Eye on America, China-Russia flex naval muscles. China and Russia are mounting a joint counter to US supremacy over Asia’s waterways, though bilateral grudges and suspicions endure. 21. Kyiv Post: Russia defeats Ukraine in WTO dispute over transit ban. 22. Moscow Times: Most Russians Prefer Council of Europe Membership – Polls. 23. 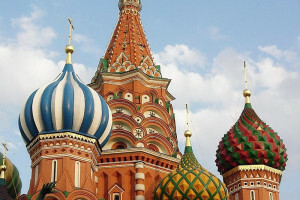 Financial Times: Bring Russia back in from the cold, says Council of Europe chief. Torbjorn Jagland says failure to restore Moscow voting rights risks new faultline on continent. 24. Russian International Affairs Council: Andrey Kortunov, Why I Am Sceptical About Eurosceptics. 25. Washington Post: Amie Ferris-Rotman, A path back from the ruins of ISIS. As the West struggles with the fate of ISIS fighters and their families, one woman in Dagestan helps bring Russians home. 26. Valdai Discussion Club: Daniel Levy, Election in Israel and Russia’s Interests. 27. Jerusalem Post: HOW RUSSIA’S ROLE IN THE BAUMEL REPATRIATION SYMBOLIZES ITS STRATEGY. Moscow wants to be the Middle East broker everyone needs. 28. TASS: Zelensky emerges as favorite among young, middle-age voters in first round. 29. TASS: Votes of losing candidates to go to Zelensky in Ukraine runoff election, suggests poll. 30. Kyiv Post: Brian Milakovsky, Why Donbas voted for Russia-friendly Boyko. 31. Foreign Policy: Chris Miller, In Ukraine’s Election, Pro-Russian Candidates Can’t Win. By occupying the regions of the country that most favor it, Moscow has undermined its own position in Ukrainian politics. Here’s why it still won’t leave. 32. Facebook: Ukraine website says Russia financed front-runner’s campaign. 33. TASS: Kremlin says only Ukrainians can and must settle Donbass conflict. 34. Kyiv Post: Zelenskiy reveals plans to end war with Russia, fight corruption.